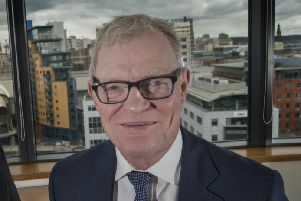 Seven Chinese investment projects worth a total of £233.5m were made in Sheffield City Region in the last decade, creating 1,247 jobs, new figures show. Some £96m of goods were exported to China from the region in 2015, ranking it the 10th country by value. The scale of trade was revealed at a packed-out seminar organised by Sheffield City Council at the Town Hall. It was the first in a series aimed at boosting business with the world’s largest economy. Delegates were told it is home to 160 cities of more than 1m people and “you can be extremely successful in a city no one has ever heard of”. Jerry Cheung, managing director of New Era Developments, the firm building Sheffield’s £70m Chinatown, said he had raised £42m from a consortium of six investors in Beijing. It helped him to borrow a further £28m for the project. He told the event: “The general perception of China has been quite poor, but it is improving. Some of the stories are true, some are fake – all are exaggerated. “But if you don’t like the country don’t bother. “China does things differently. The UK’s systems of tax and law have been developed over hundreds of years and have closed all the loopholes. In China, there are a lot of loopholes. ‘Guanxi,’ loosely translated as trust, was at the core of Chinese society and dictated “where you were in the foodchain,” he added. The Chinese were very quick to identify a scheme’s commercial viability and were very demanding of technology, especially mobile, the meeting heard. And “whoever registers intellectual property first owns it,” delegates were warned. Sheffield City Council last year announced a £220m investment by the Sichuan Guodong Construction Group. It is set to build offices and could turn the Central Library into a five-star hotel. The deal has gone quiet in recent months due to red-tape and translation issues. But it is understood an update is due within three weeks. The authority is leading a trade mission to four Chinese cities for 10 days in November. Subsidies of up to £5,000 are available.